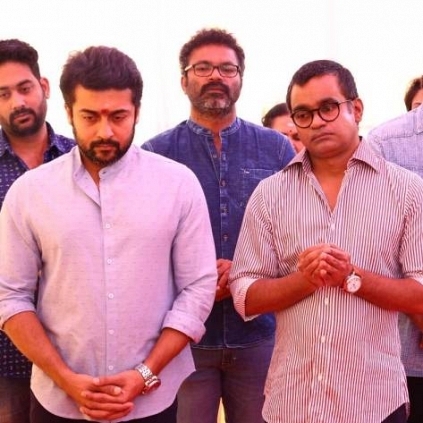 SELVARAGHAVAN IS ALL PRAISE FOR SURIYA - CHECK WHAT HE HAS SAID! Director Selvaraghavan is busy filming his next venture, NGK, starring Suriya in the lead role. Bankrolled by Dream Warrior Pictures, the film also co-stars Rakul Preet Singh and Sai Pallavi. The Mayakkam Enna director, who was apparently much impressed with Suriya's performance in NGK, took to Twitter to share his feeling. He also added that he would like to collaborate with Suriya yet again. He tweeted, "If I ever wanted work with some actor again it would be @Suriya_offl sir.. Wow.. Taken aback and blown over by his performance!!! Only possible with so much of dedication and hard work!! #NGK #NGKFIRE"
நடிகர் Surya 1 கோடி ரூபாய் விவசாயிகளுக்கு வழங்கினார்! People looking for online information on NGK, Selvaraghavan, Suriya will find this news story useful.